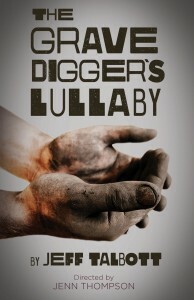 Jeff Talbott’s powerful new play is a gritty look into the life of Baylen, an honest, hard-working gravedigger who sweats and bleeds to support his small family. He has it all in his hands: love, death, and dirt. But when society begins to crush him, which one will he hold onto? Love and Hate. Rich and Poor. It all ends up in the dirt.